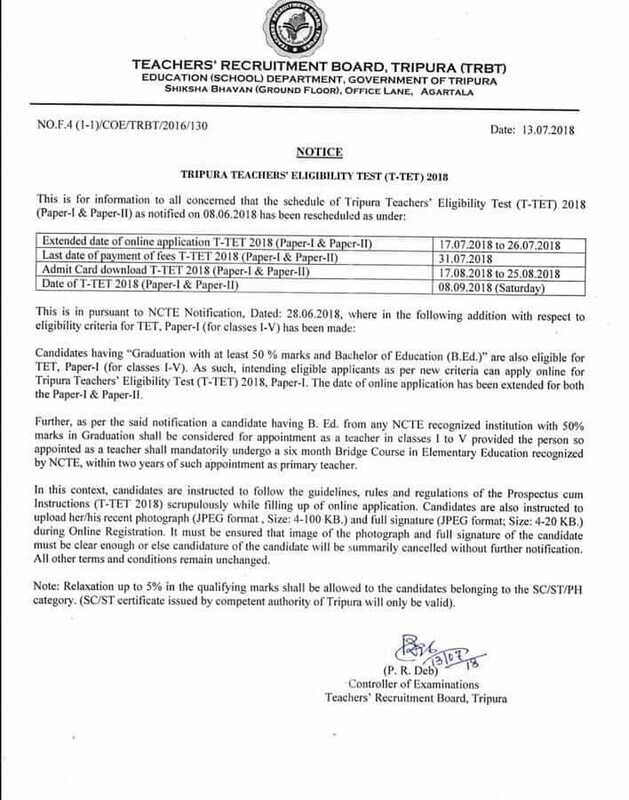 TRBT (Tripura Teachers Recruitment board) had announced Teachers Eligibility test for Tripura few months back, Now the exam will going to be held soon For serving that purpose Candidates need to Visit Online Portal for Downloading their Admit Card. Exam is going to be held on 17-25 August, 2018.Candidates need to prepare well for the Exam. Tripura Govt. has released notice for the aspiring teachers of the State, so its golden opportunity for the Candidates for Clearing this Exam. Candidates can download their Admit Card from the SarkariExam.com .Link will be activated Soon by 17 August to 25 August 2018. 1. In order to download their Admit Card candidates need to go to the imp. Links section provided below. 2. After getting the link candidates need to click on it for downloading their Admit Card. 5. Candidates can also download their Admit Card from the Official site of the TRBT.